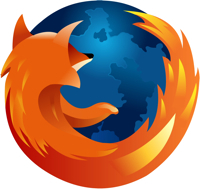 If you've been following the Firefox 3 news, you are no doubt aware that today (June 17, 2008) is the official release date for Firefox 3. Unfortunately, when Mozilla made the download available at 1 PM Eastern, the flood of traffic made the Mozilla servers virtually unreachable. The initial rush is over and the Mozilla servers are once again flying along as usual. At the time of this writing, there have been nearly 700,000 downloads. Make sure you're one of them. If you're still looking for a reason to convert, check out Lifehacker's Top 10 Firefox 3 features. If that doesn't convince you, then take my word for it: the performance improvements in Firefox 3 make it the obvious browser choice. If you don't like Firefox, leave a comment. Perhaps I can change your mind!